“We’ve run design sprints” and “we sourced hundreds of ideas using an idea challenge” but they usually haven’t done anything with the ideas beyond that because they lack a mechanism or roadmap to take ideas beyond ideas. We often hear that “it takes us months to run an experiment”. Such narrative is not only holding back product development but it’s a recipe for disaster insofar as internal culture and knowledge management goes because it will only serve to fuel pessimism amongst the organisation’s most innovative and entrepreneurial thinkers who will seek greener pastures elsewhere. (b) a lack of awareness and knowledge of the tools available to accelerate prototyping and early stage innovation. 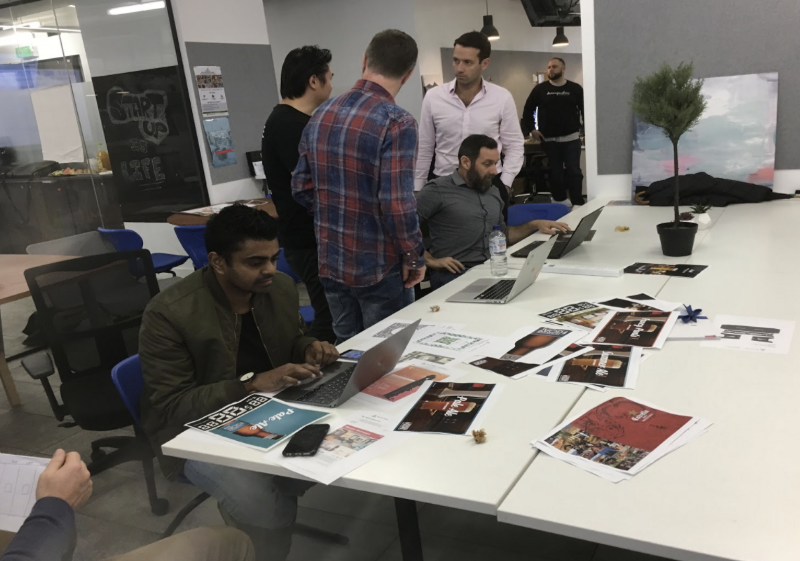 We recently facilitated a hack day for a global FMCG client, comprised of 10 cross functional employees, all of whom had the desire to innovate but lacked the methods and tools required to do so. They had run some internal design sprints and had a handful of ideas to explore but weren’t sure how to go about taking them any further. By the end of the day they had not only built six prototypes but they also got out of the building and put the prototypes into the hands of target customers for relevant feedback from day one. We used Plattar, an AR content management system (think of it as Wordpress for AR) to build two AR apps. 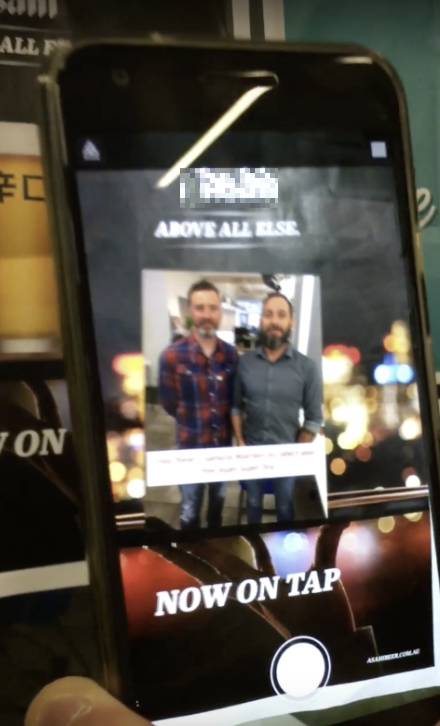 Using free off the shelf tools like mobile UI kits, Canva and InVision we were able to mock up a “Wizard of Oz” augmented reality bar finder app in less than 30 minutes with a view down Melbourne’s Flinders Lane. Click here to try out the app for yourself! 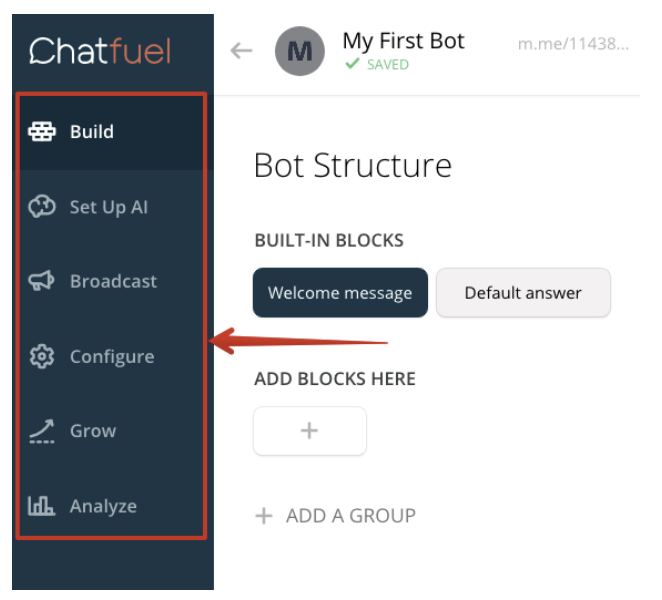 Using Chatfuel, the team were able to mock up a quick Facebook integrated chat assistant in under 30 minutes. 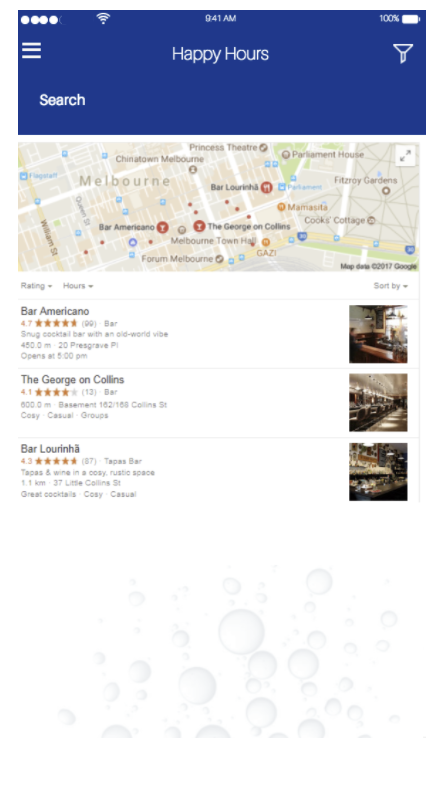 We put together a functional mobile app for a ‘Happy Hour’ pub finder app in under an hour using Canva, mobile UI kits and InVision. One of the ideas tested was whether online education would fly for bringing liquor store managers up to speed on the latest beverages. 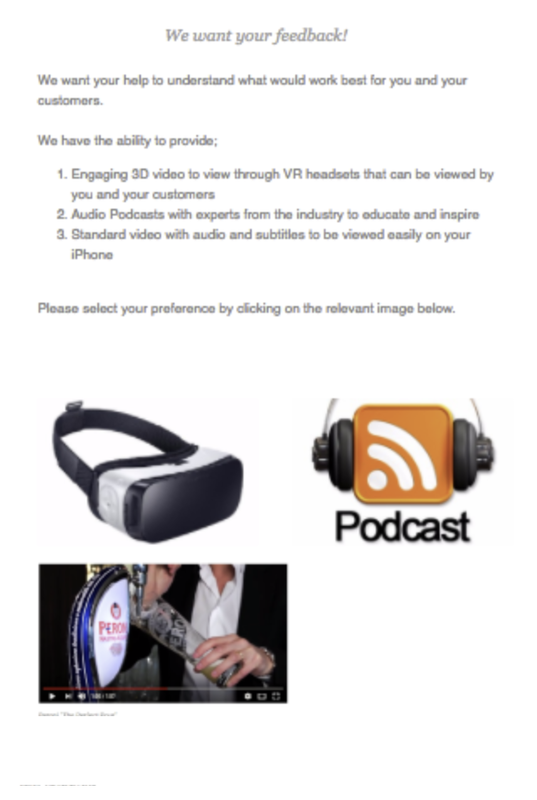 Before going out and building a full blown virtual reality system, the team set up a simple email test to gauge whether any of podcasts, online video or virtual reality would resonate with the target audience by way of tracking clicks to the different mediums. The initial analytics speak for themselves (granted this is quite the small sample size). 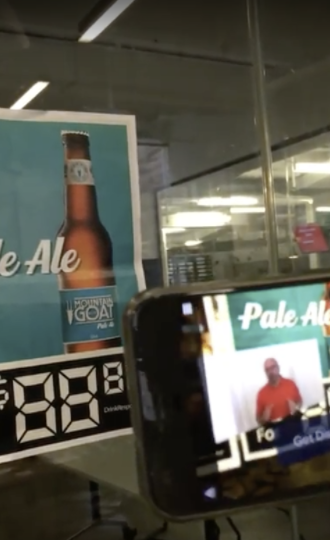 The AR apps were put into the hands of customers, both at bars and at liquor stores, to get immediate feedback and gauge reactions. This is way more value that inside the building hypothesising from hippos (that’s highest paid person) who in most cases have never built something completely new and potentially disruptive from scratch and taken it to market. Some of the key metrics we were looking to test across many of these ideas are captured below. Acquisition: would target customers try the experience? Activation: would they use it through to desired outcome? Retention: would they come back to play again? Referral: would they tell their friends about the experience? By providing participants that were completely new to the art of early stage innovation with the right mindset, some simple methods and tools to get the job done, they were able to not only turn their ideas into what were in most cases functional prototypes, but also and perhaps more importantly, put them into the hands of target customers to get critical feedback within hours. As the old adage goes, “the startups that learn the fastest win” and this is no less true at large global organisations.